Sometimes the landflipper may wind up with valuable timber on his property. How does one deal with that? The first step might be to convince a forester or timber buyer to do a ride-by. They’ll let you know whether it’s even worth considering a closer look and possible sale. If they give a positive report, you’ll want to educate yourself a bit about timber and how to sell it. As a flipper, your main considerations are time and messiness. Is it worth selling timber if the sale will take a year or more? And what about the land afterwards – the stumps, the ruts, the logging debris? Will that be worth the money you get for those trees? There are a couple of different methods of selling timber. The first is lump-sum. You get your money up front and sign a timber deed. The logger takes the trees out whenever it’s most convenient for him during that period. Timber deeds normally have a term of one to two years, but it is possible to find a logger who is willing to go ahead and cut right away and pay you a lump sum. He’ll probably still want a longer term in the timber deed, though, just in case bad weather, sick crewmen, machine failure or various other issues might keep him from his verbal promise to cut right away. The second method is called cut-and-haul or pay-as-cut, something like that. As the name implies, the logger pays you by the truckload as the wood is hauled to the mill. Your agreement with him spells out how much he’ll pay per ton and per product, along with other details. Either method can be done by direct negotiation with the logger or by arranging a sealed-bid timber sale. The beginning landflipper will most likely choose the cut-and-haul method and most likely make the deal by negotiation with the timber buyer rather than by a bid sale. Cut-and-haul leaves control with the landowner. It’s normally set up so you can stop the operation anytime you like. Maybe someone offers a great price for half of your property but the offer is contingent on the timber remaining on the property. With cut-and-haul, you can just call the logger off on that portion of the land. But if you’ve signed a timber deed, you can’t do that. First, use a timber consultant, also called a consulting forester. The business is just too complex for you to learn it in detail, and yes, there are timber buyers out there who may take advantage of your ignorance. The consultant will usually want 10% of your proceeds, but he/she might increase your sale amount by two or three times. Maybe more. Second, consider having the forester mark specific ‘leave trees’ in preparation for the cut. The logger takes everything else. If you sell just one species, like all the pine, the loggers will still cut other trees that are in their way but they won’t haul those trees away since they don’t own them, leaving a bigger mess for you to clean up. There is no quick and easy and clean answer about whether to sell some of your trees. Just a tough, messy, uncertain business decision. 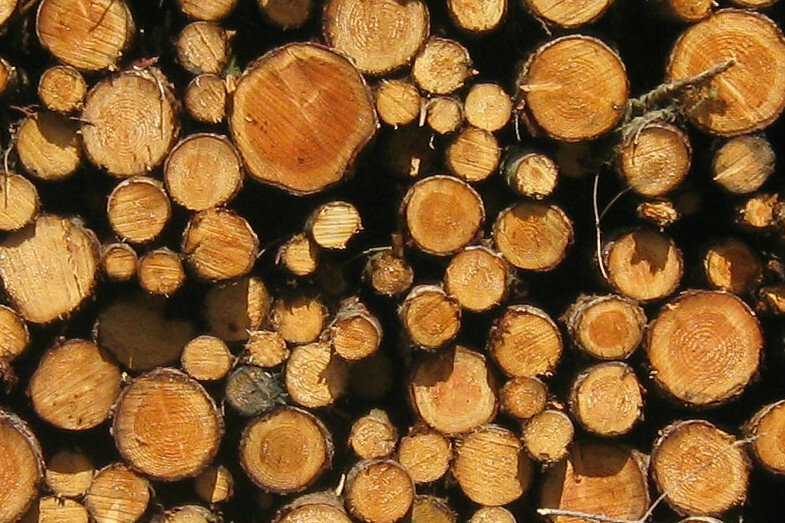 Do you have any tips or questions related to timber sales? Any anecdotes, advice, or inquiries are always welcome. Feel free to leave a comment below and introduce yourself.